A few weeks ago, a company called HairZing reached out to me, and asked if I’d be interested in reviewing some of their hair products. Without hesitation, I said yes! HairZing claims to be the only accessory that holds snugly onto your hair without exerting any pressure, or clamping down onto it. Their combs and bands work together to balance the weight of your hair between them, preventing headaches and pinching. HairZings are WELL MADE. They are sturdy, durable, and aren’t going anywhere once they’re in. As their website states, HairZing’s resin banding is stronger than rubber or elastic with just as much stretch. 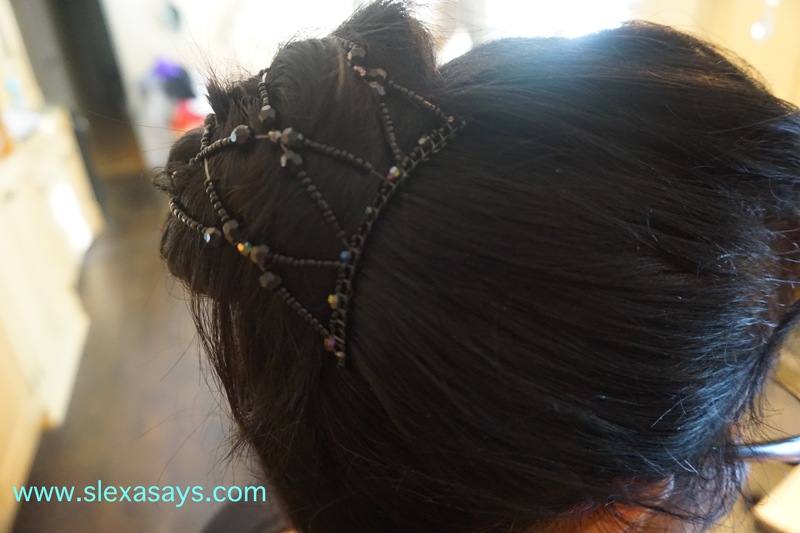 This makes HairZings less likely to break, and more comfortable for all-day wear. 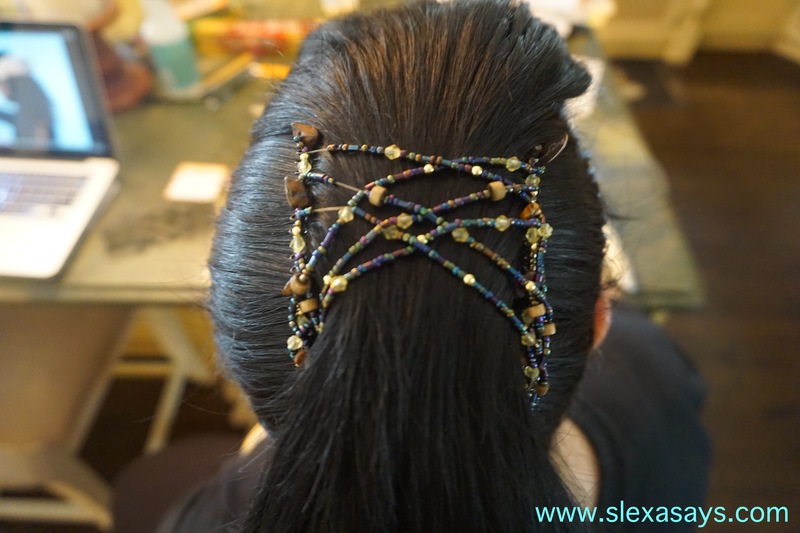 Each HairZing features either natural, stone, metal, and/or glass beads. They have a variety of different colors and designs to choose from. Of what was sent to me, the “Austin” was my favorite design (seen above in the Peacock Twist photo). Whenever I receive a package, I’m like a little kid on Christmas. I rip it open, and want to play with my new goodies immediately! With that being said, it was hard for me to get the hang of HairZings at first. Luckily practice and patience makes perfect! Once I referenced HairZing’s YouTube channel, and learned how to style my hair (and my mom’s) in HairZings, they were easy to use! 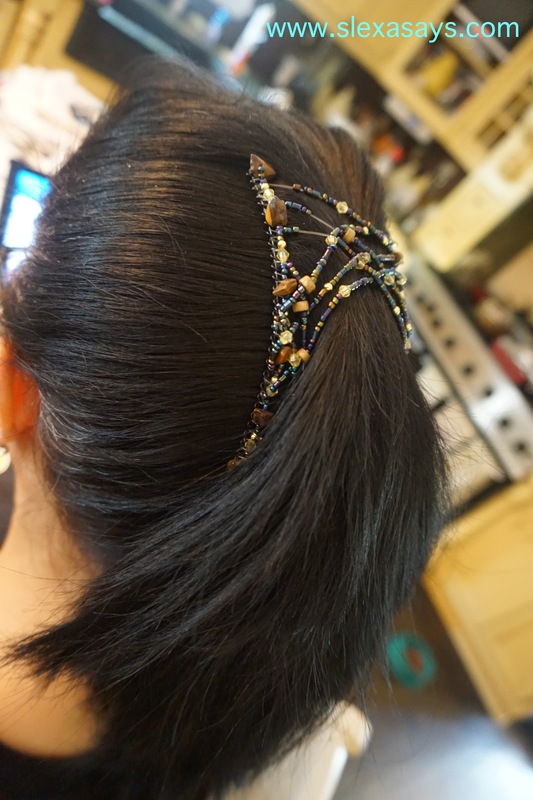 I’ve never used a hair accessory this durable and unique before. I think they are great to spice up your everyday hair looks, and I would definitely recommend giving them a try! HairZing was kind enough to give a 10% off discount code to any of my readers that would like to try their products. Definitely check out their website, and see if there is a HairZing out there for you. Thank you to HairZing for contacting me and sending me your products to try!